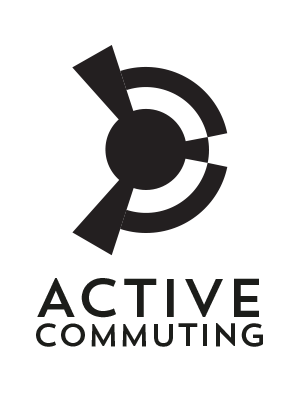 The mission of Active Commuting Ltd is to provide access to affordable; secure bike parking, lockers, showers and changing rooms for the Active Commuter wherever he or she works. Our facilities are built using modular construction; they are portable, adaptable, and scalable. The ambition is for the facilities to become embedded in the transport infrastructure. They will be situated in car parks, business parks, campuses, stations, and other public areas. Some will be run on a membership basis, others will be provided to employers specifically for their employees. There will be a network throughout the UK. We will also help provide mentoring and route planning for new active commuters. Encourages all body exercise for everybody, reduces; stress, work absences and carbon footprint, promotes relaxation, burns calories to help reduce weight, improves balance and co-ordination, environmentally friendly as it doubles as your transport, a social activity, and studies have shown that regular cyclists and runners enjoy the general health of someone 10 years younger. Over two thirds of run commuters are aged 30-44. 35% of run commuters and 27% of cycling commuters are women. The average triathlete works in management, and 33% of them are women. The project aims to: encourage and mentor people; facilitate and measure active commuting; while supporting individuals who want to run, cycle, walk, skate or scoot to work. The continuous growth in people ‘active commuting’ when travelling to work, is putting ALL employers under increasing pressure to provide facilities. Indeed, there are studies to suggest that barriers to ‘active commuting’ are less about infrastructure and more about facilities (Support Cycling to Work: You Told Us. Sustrans, 2011). Active Commuting Ltd has designed a turnkey facilities solution to cater to this growing demand. Our bespoke, modular, portable building solution, can cater to all sizes of organisations because it is both adaptable and scalable. As of April 2017, there are three Active Commuting hubs in operation. Using these three sites, it is intended to conduct research to better understand how the Active Commuting hubs (with further development and using technology) could be integrated and ‘connected’ into the existing transport infrastructure and public realm. There are many organisations (as well as the Government) who stand to benefit directly and indirectly from people commuting this way. It will be essential to identify who these organisations are, and quantify how much they stand to benefit, to ensure that there is engagement with these parties in the future development of active travel. The following are just some of the questions we hope to answer; does having the right end of journey facilities increase cycling and running to work? Does active-commuting reduce staff absences and stress? How significant are seasonal and weather factors for usage? What distances are people prepared to active-commute? What is the ratio of cyclists to runners? What other services do these active-commuters want or need? Is time saved commuting this way?